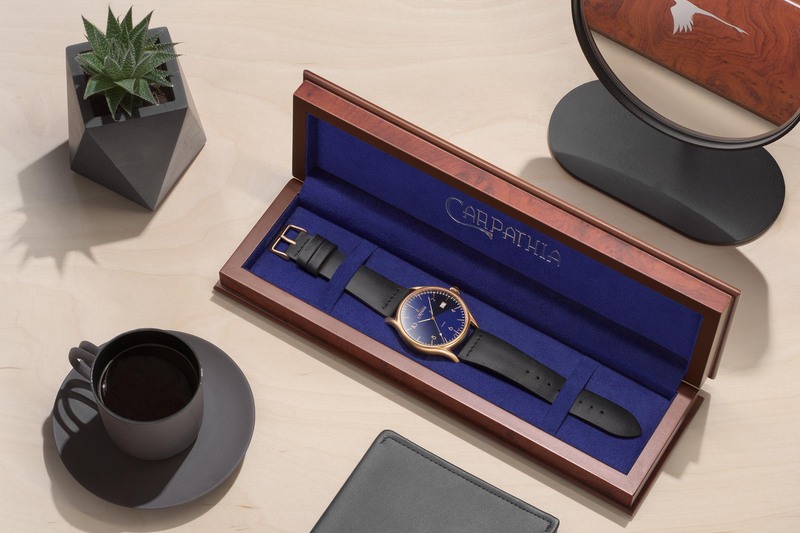 An affordable, Swiss-powered, elegantly shaped watch from Chicago, USA. We’ve seen dozens of microbrands on the market recently, but only a few get mentioned on MONOCHROME. 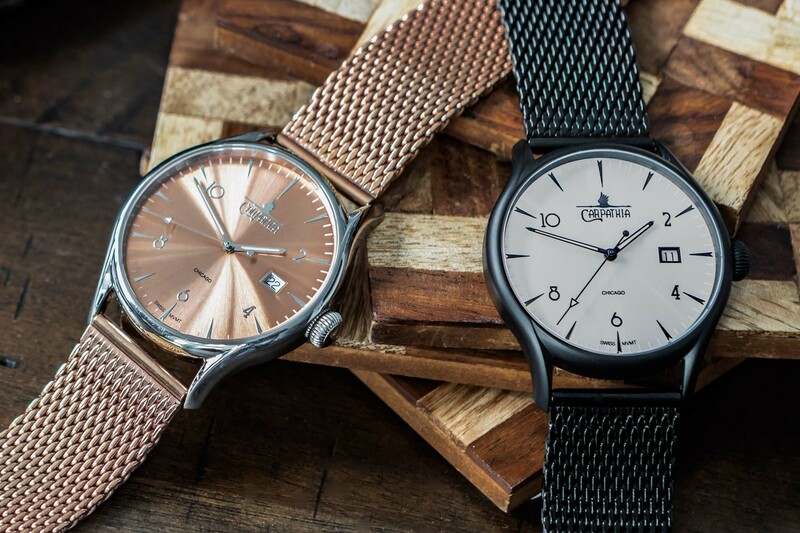 Not new to the watch industry, the people behind Carpathia are launching their first watch – an elegant, slightly original model named the Ascent. Swiss engine, American and Polish roots for a competitive package. Carpathia was founded in 2016 by Mark and Helena Para. 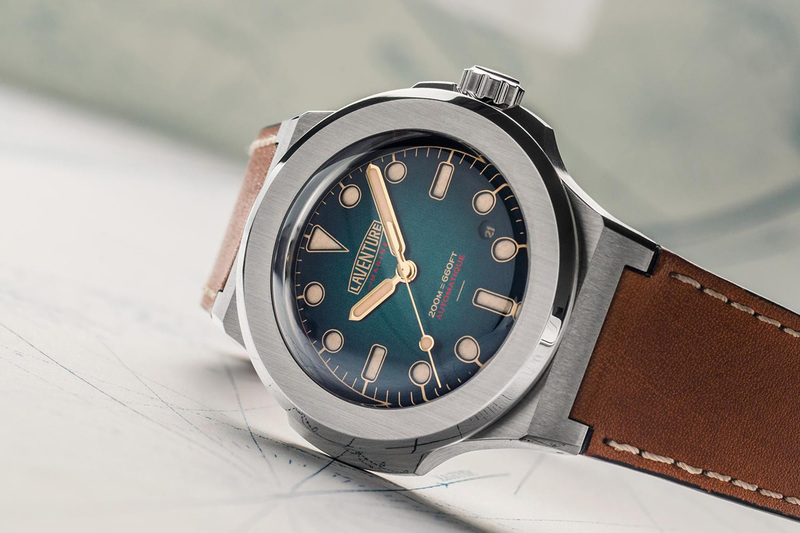 As a watch enthusiast and watch designer who worked for other independent watch companies, Mark decided that it was time for him to create his own brand and to have his own design on his own watches. 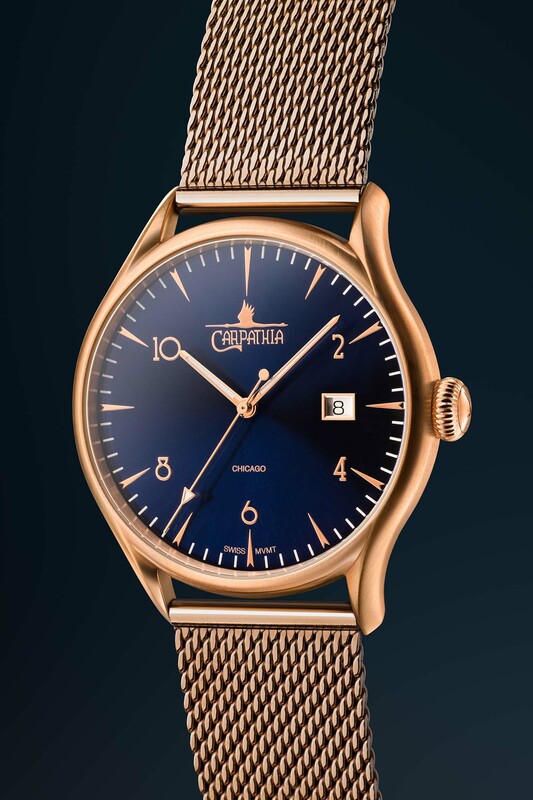 The brand name Carpathia was inspired by the couple’s Polish roots, and their home town Chicago inspired the Art Deco design of the Carpathia Ascent. 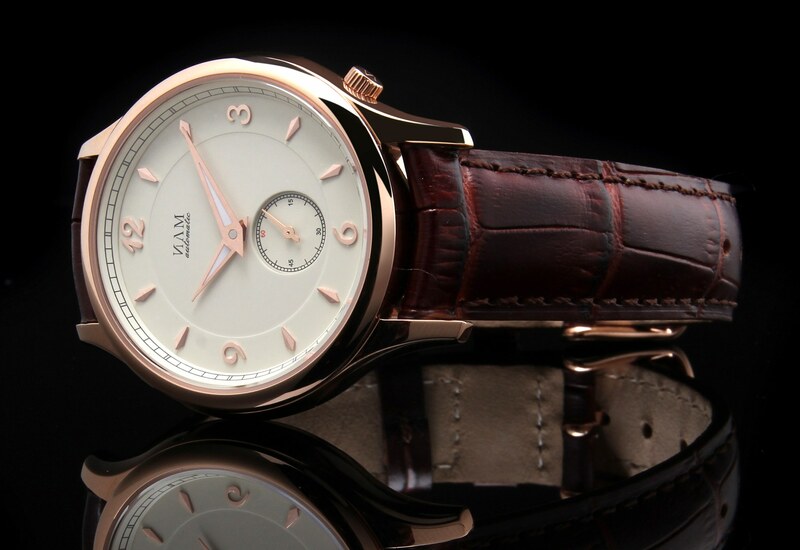 The Ascent is a restrained, classic watch with a mix of modern and vintage elements. 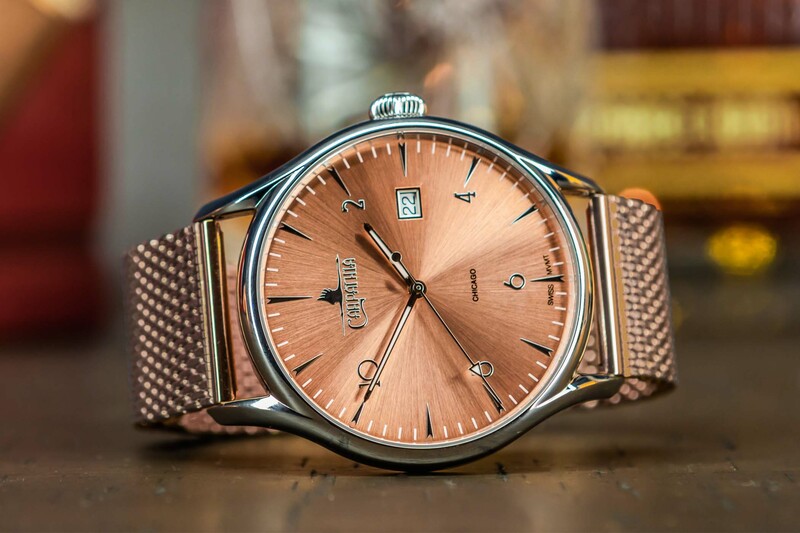 Its case, measuring 42mm in diameter and 10.85mm in height, has been shaped according to a mix of multiple inspirations, for instance, “little known European watch brands I always collected. We worked to pick finishes that reflected modern trends and stood out. For our first model, we wanted to celebrate our hometown of Chicago, adorned with Art Deco details” said Mark. 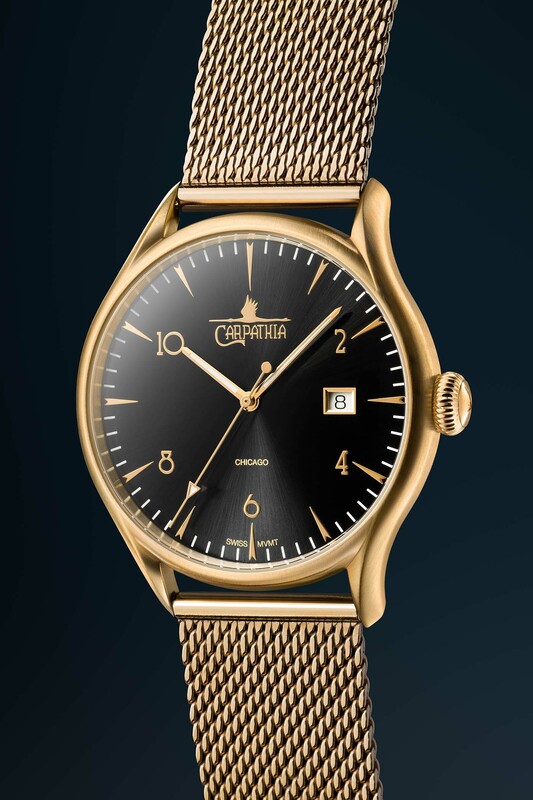 The shape of the Carpathia Ascent is a combination of thin lugs and bezel together with curves. 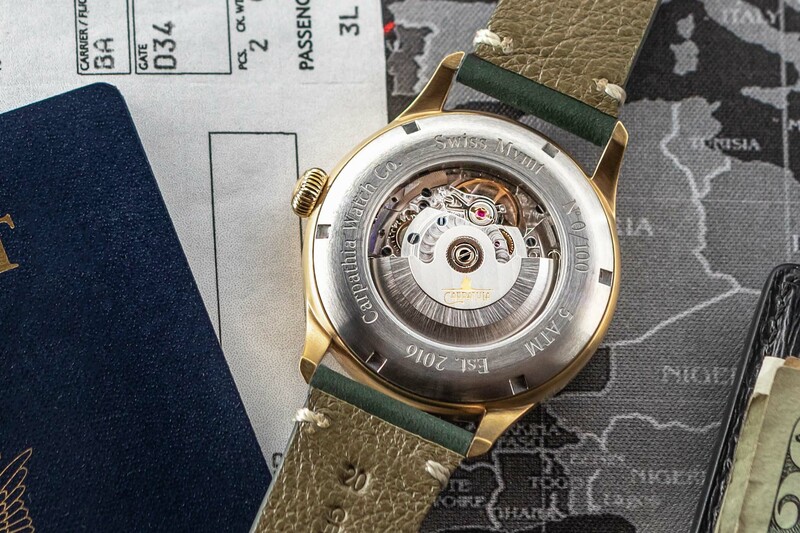 The case is offered in four different finishes, starting with a classic “chrome” polished steel, followed by a matte black PVD and two surprising brushed gold and brushed rose gold models. 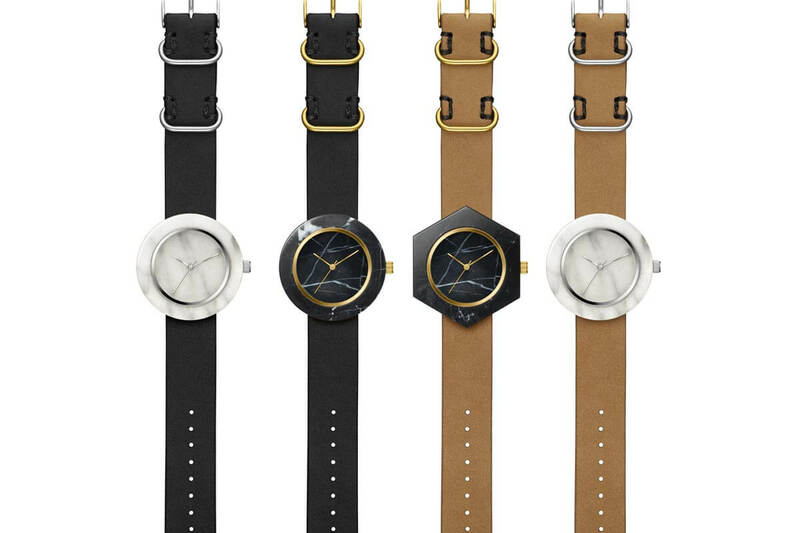 All of them can be combined with an array of straps (classic leather or suede) as well as metal mesh bracelets. The watch has sapphire crystals front and back and is water-resistant to 50 meters. Dial side, again there’s a large choice. The Carpathia Ascent will be available in four different colours, all with sunburst decoration – black, sapphire, rose gold and ivory. Hands and hour indexes are metallic and match the case colour. The fonts and the logo show a very personal touch. The display is traditional with hours/minutes/seconds in the centre and a date at 3 o’clock, framed by a metallic ring. 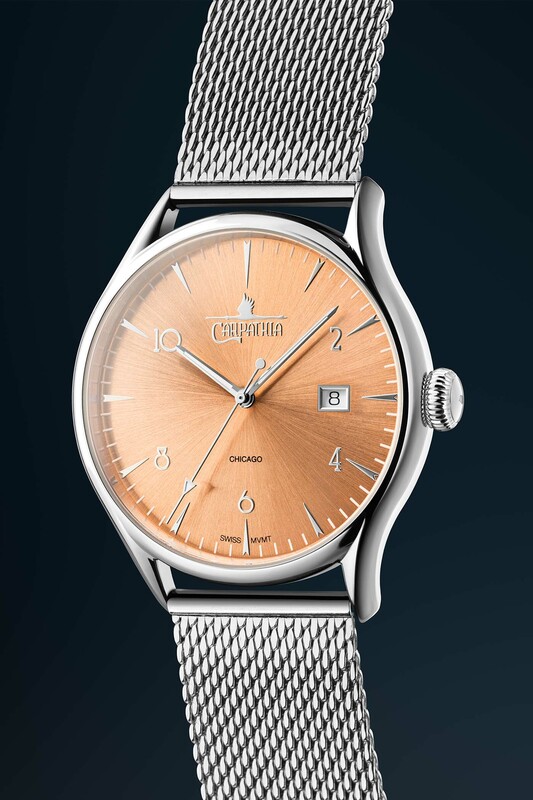 The movement inside the Carpathia Ascent is a Swiss automatic ETA 2824-2 in Elaboré grade – the watches are assembled in Switzerland. 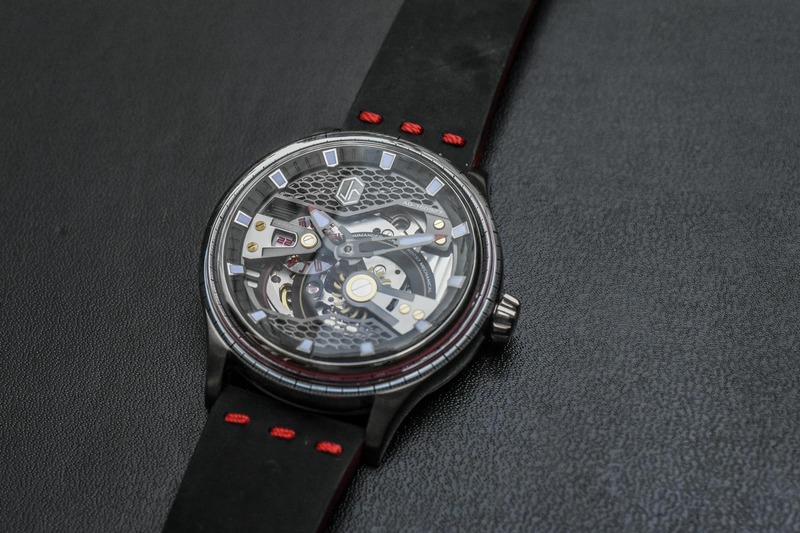 This movement is certainly an upgrade compared to the multiple Japanese (or even Chinese) movements found in most microbrand’s watches. Specs are the usual ones, meaning a 38-hour power reserve and a 4Hz frequency. 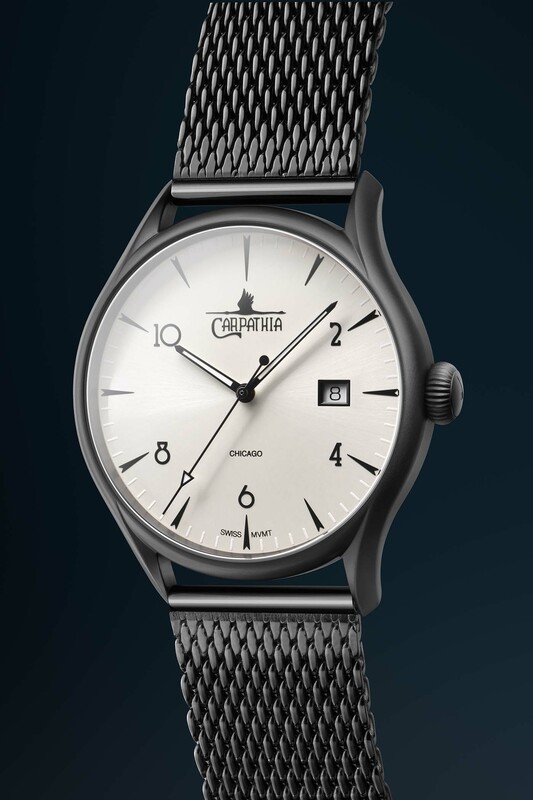 The Carpathia Ascent will be available as of today on Kickstarter – through this link – with prices starting as of USD 549. A limited numbered caseback will be offered to the first 200 backers. The final retail price once the campaign is over will be around USD 1,200. More details at www.carpathiawatches.com. The date window is almost in the middle of the dial, it’s a shame. 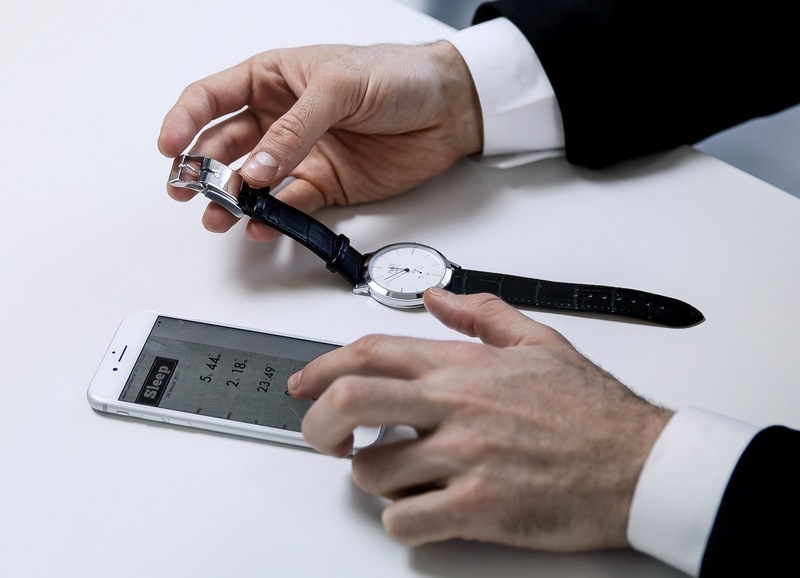 The number twelve is that it beautifies a watch. An amazing design well executed !